Endourological treatment of ureteropelvic junction obstruction has been established as a minimally invasive alternative to open pyeloplasty. 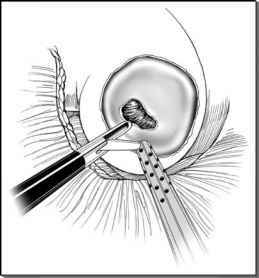 It is frequently preferred due to its good results and the familiarity urologists have with endoscopy. Nevertheless, endopy-elotomy in the presence of crossing vessels, high-grade hydronephrosis, or poor renal function associates with high failure rates. Although recommended as salvage procedure in such cases, open pyeloplasty associated with incisional morbidity, prolonged recovery, and difficult intraoperative dissection. A transperitoneal access may be preferable. Postoperative fibrosis and adhesions are always present in the region of the previously operated ureteropelvic junction. This makes secondary procedures, both open and laparoscopic more challenging. In the largest series (N= 36) of secondary laparoscopic pyeloplasties by Sundaram et al. (19), initial long operating time (6.2 hours) decreased with experience and open conversion was necessary only in one instance. Although the advantages of less analgesic requirements, shorter hospital stay, and faster recovery were confirmed, success rates of 83% to 88% are poorer than the results of open pyeloplasty (95%) for secondary ureteropelvic junction obstruction due to failed endopyelotomy (12,18,19,41). However, differences in subjective and objective criteria determining success may be responsible for this difference.